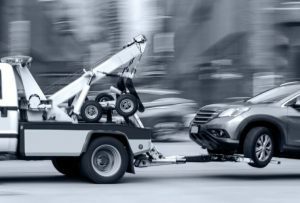 When you happen to encounter a vehicle break down or involved in an accident, you will find the need to have your vehicle towed by a towing company. Prior to towing your vehicle, there is information you need to prepare. 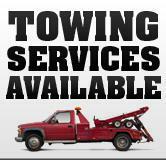 There is also information you may want to request from the towing company. When you require service from towing company, you will have to provide basic info about the situation you are facing the about your vehicle. Location is definitely top of the list so that they can locate you. You may choose to give the address of nearby business or house that you can see. When you are in rural places, know the nearest mile marker, or the name of the road and highway. Regarding your vehicle, you need to provide the model, make and year of it, so the towing company can dispatch an appropriate tow truck for you. Before hiring for a tow, inquire for the cost of the service. The cost of towing a vehicle can be different between towing companies. Some situations can affect costs as well. The distance your vehicle is situated away from the company, and the distance it needs to be towed will affect the cost. The condition of your vehicle will also factor in; for example, if your has flat tires or is unable to drive, flatbed towing is required and costs will be different. There are 2 factors regarding if the vehicle insurance can cover towing costs: firstly, the towing company is working with the insurance company. Secondly, the policy will cover towing costs. For the later, you will need to check with the insurance company. There are many towing companies working in line with insurance companies, so you can also check with them to find out more. Before getting your vehicle towed, note the destination to where you want it to be towed. The distance can affect the cost of the service. In addition, you may also want to know where to retrieve the vehicle. Some towing companies will move the vehicle to the parking lot of companies. Should you have a mechanical issue and want to move the vehicle to a mechanic, you should request the towing operator to move to that location. If you do not have any mechanics in mind, you can also check with the towing operator for recommendations. When calling the towing service, try to give a clear description and explanation of your situation. Towing operators usually employ towing technicians who are familiar with a diversity of mechanical problems that car owners may experience. They can provide roadside assistance such as tire replacement or jump start battery. Some may even offer assistance and resources if your car is damaged in accidents.